While body language includes facial expressions, posture, eye movement, and gestures, it may be affected by the image we have of our own body. After all, our image of ourselves contributes in part to how we dress and behave, just as our body language can. Body image is a person’s own perception of their physical appearance. While we may see a person as one way, they may see themselves completely differently when looking in a mirror. Individuals with Gender Identity Disorder (GID) often believe they were “born” in the wrong body. It may be a man who feels he should have been born female or a woman who feels she should have been born male. The study Depersonalisation, Self-Esteem, and Body Image in Male-to-Female Transsexuals Compared to Male and Female Controls by Drs. Uwe Wolfradt and Kerstin Newmann was conducted to see if there was a difference in body image between transsexuals and non-transsexuals. The subjects included 30 postoperative male-to-female transsexuals, 30 males, and 30 females. Their ages ranged from 29 to 67 with 43 being the mean age. Almost all the subjects were employed. Each subject completed self-report measures on such categories as depersonalisation (an emotional dissociative disorder in which a person feels a loss of connection with their own reality), self-esteem, gender identity traits, and body image. 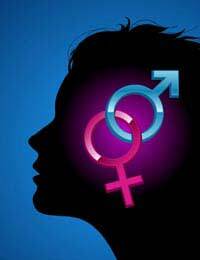 The transsexuals and males scored higher on self-esteem questionnaires than the females. The results also found that the transsexuals and males had a more dynamic body image. Both the transsexual and the female subjects felt they were more feminine than the male subjects. Like previous research, this study confirmed that male-to-female transsexuals see themselves as adjusted females rather than pathological males. It found however that depersonalisation in transsexuals decreases after sexual reassignment surgery. This may be due to the fact that there is no longer a discrepancy between perceived self image and gender role. Interestingly enough, the transsexuals did show the same high view of self-esteem and dynamic body image as males. This leads the researchers to believe that transsexuals must integrate both feminine and masculine traits to come up with their own self-understanding of their sexual role. While females often have a more negative body image, transsexuals tend to think more like males in this aspect. Contrary to previous studies such as that of P. Marone, S. Iacoella, M.G. Cecchini, and A.R. Ravenna (An experimental study of body image and perception in gender identity disorders), the transsexuals didn’t have a more negative body image than the other subjects of the study. The study may have shown that transsexuals have a more androgynous style, which shows a greater psychosocial adjustment and a much more flexible way of adapting to both masculine and feminine behaviour than the other subjects in the group. It would appear that the transsexuals are highly satisfied with what they believe their self image to be after surgery. While the transsexuals retain some male traits, such as the high dynamic body image, it is also important for them to be seen as female by society to maintain a high self esteem. Through this acceptance, transsexuals may display feminine body language more accurately because they are more self-assured.